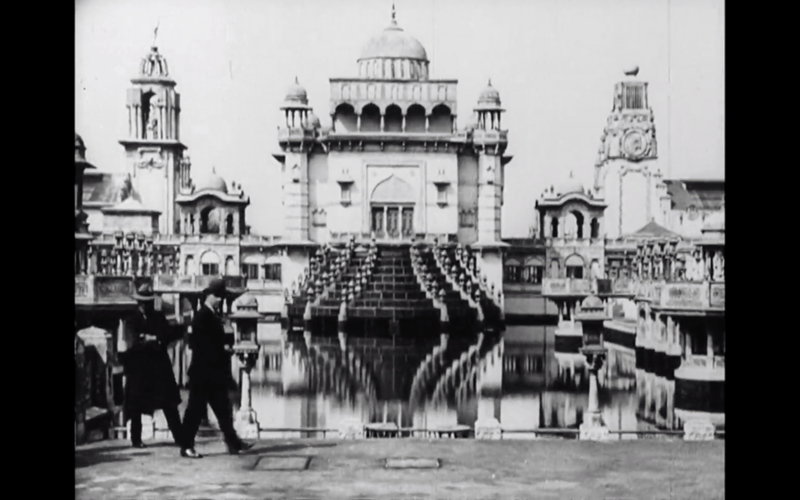 Through the course of two series and more than twenty episodes, Harry B. Parkinson and Frank Miller invited viewers to cinematically travel through London’s famous and lesser known attractions in a travelogue series entitled Wonderful London. 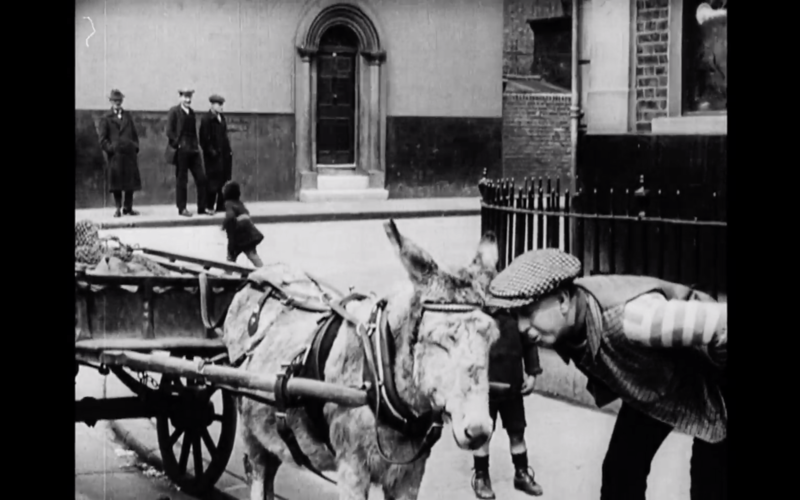 The short films first appeared in British cinemas in 1924 and eventually were exported throughout the British Empire. Each episode, about ten to twelve minutes in length, was shown before the comedies and main feature as part of a larger programme (except in Australia where they were spliced together as a ‘super-feature) and allowed audiences to explore the capital from the comfort of their local venue [i][ii]. Simple in form and comprised mostly of static long shots, the series offered superlative views of the teeming metropolis. 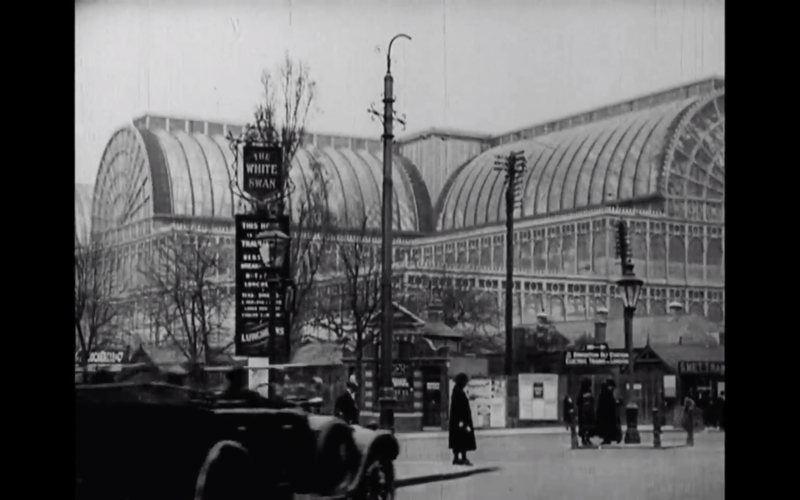 Recently restored by the BFI National Archive, the twelve extant episodes afford modern viewers (and the historian) with unrivalled visual insight into London of the mid-1920s. 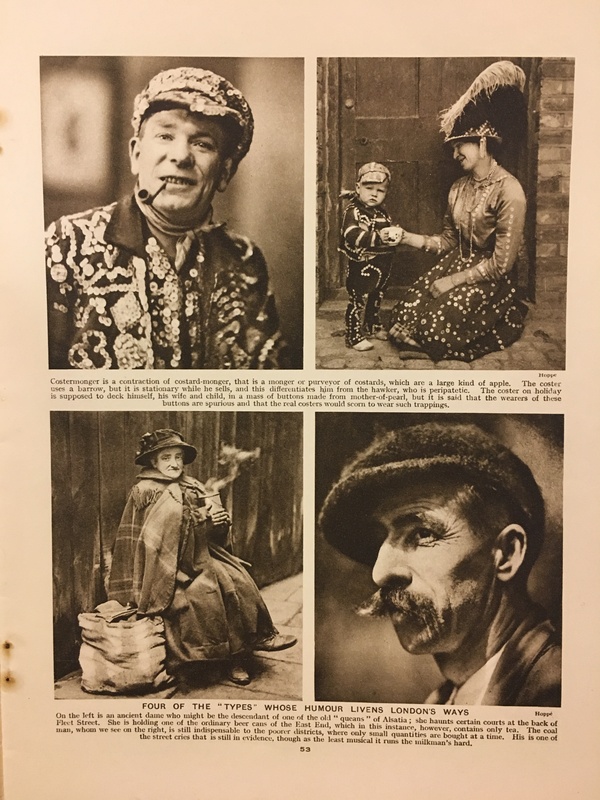 Scholarship coinciding with the BFI restoration suggests Wonderful London takes inspiration from a 1922 eponymous magazine series. While no evidence has been adduced suggesting otherwise, the relationship remains unsubstantiated. Comparing the two manifestations, however, the connection between the magazine series and the travelogue films is tenable. 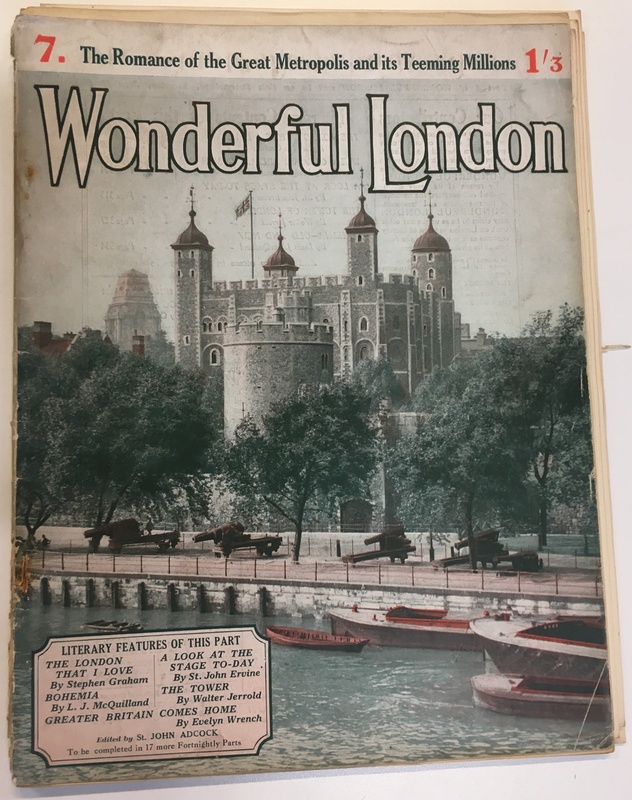 Wonderful London first materialised as a twenty-four issue fortnightly magazine in 1922. Edited by St. John Adcock, readers were treated to articles by contemporary authors and cultural critics, such as Stephen Graham and Alec Waugh, as well as stunning views of the city processed in Photogravure. Each issue generally contained five articles; the contents of which ranged from historical explorations to contemporary insights and travel advices to points of interest in the capital. Like today’s television cliché ‘to be continued’, the publishers included only half of each final article, with the remainder printed at the beginning of the subsequent issue. The magazine offers inordinate insights into London of the 1920s, but it is the magazine’s cinematic incarnation that truly has the power to transport modern viewers to another time while revealing a variety of peoples and interest points, some extant and some lost. While each episode is unique and delightful in its own right, I would like to focus on one episode in which a Coster, a street vendor who pedals goods from a cart, takes us through London’s lesser-known periphery. In London’s Outer Ring a cockney Coster, one of Barry Pain’s ‘London types’, attempts to goad an unconvinced donkey called Rudolph into a joy ride around the fringes of London. Of the roughly fifteen localities the Coster discusses with his asinine companion, nine are extant in some fashion or another today. The model cottage at Kennington Park, Brixton Windmill, St. Augustine’s Tower in Hackney, Hampstead Heath, the remnants of Richmond Palace, Strand on the Green, Hammersmith Bridge, and Old Kent Road remain intact and bare resemblance to their 1920s structures. Two locales shown in Outer Ring are truly remarkable, as the structures have long been destroyed. The Crystal Palace was originally assembled in Hyde Park to accommodate the Great Exhibition of 1851, which saw an excess of twenty five thousand visitors on its first day alone. [viii] Six months later the Great Exhibition ended and had accepted more than six million people through the Crystal Palace. [ix] In 18XX, the Palace was relocated and reconstituted atop Penge Peak near Sydenham Hill as an amusement site for the masses, where it remained until a spectacular fire destroyed the structure in 1936 [x]. What remains today are remnants of the upper terrace – wide, stone steps leading up to a sizeable scarred lawn. While the historian may lament the loss of historic London landmarks, London’s Outer Ring, as well as the other Wonderful London, episodes provides unrivalled cinematic views into the past. Our Cockney guide, though, might be disappointed to learn the fate of his two favourite “boozers.” The Maypole in Chigwell, mentioned in Dickens’ Barnaby Rudge, is now a derelict property and permanently closed, while the Burlington Arms on Church Street in Chiswick is now a private residence (a swanky one, at that). [i] Bryony Dixon, “Wonderful London,” In Wonderful London (DVD accompaniment) (London: BFI, 2011) 1. [iii] William Pett Ridge, “From Mayfair to Whitechapel”, Wonderful London 1, no. 6 (April 27, 1922): 262. [iv] Barry Pain, “London Types,” Wonderful London 1, no. 2 (March 2, 1922): 51. [v] Pain, “London Types,” 57. [viii] Jeffrey A. Auerbach, The Great Exhibition of 1951: A Nation On Display (New Haven, CT and London: Yale University Press) 1. [ix] Auerbach, Exhibition of 1951, 1. [x] Auerbach, Exhibition of 1951, 200 and 211. Christina Hink is a PhD Candidate in Film Studies at King’s College London. She holds a BA in History from Texas A&M University and an MA in Museum Studies from UCL. She is currently researching silent British and American war films in relation to war and memory, with an emphasis on the representation of women and disabled veterans.